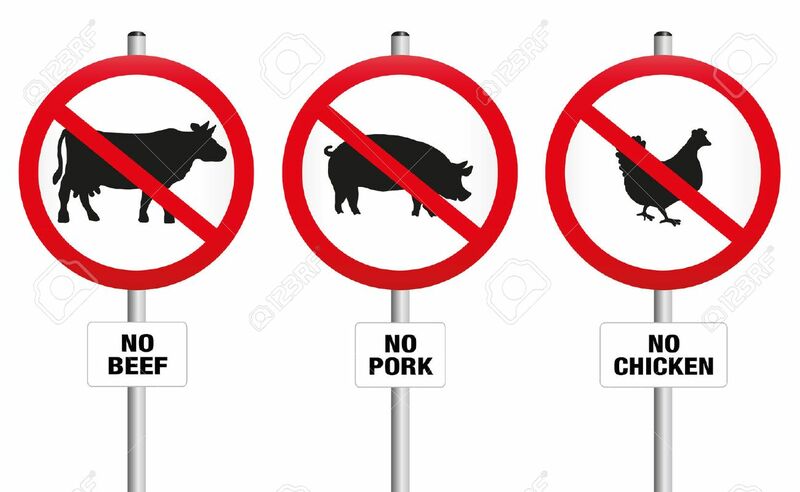 No Beef Pork And Chicken Three Prohibitory Signs With Crossed.. Royalty Free Cliparts, Vectors, And Stock Illustration. Image 40081925. Vector - No beef pork and chicken three prohibitory signs with crossed out pig cow and hen a symbol against meat production and for vegetarian diet and lifestyle. Isolated vector illustration over white. No beef pork and chicken three prohibitory signs with crossed out pig cow and hen a symbol against meat production and for vegetarian diet and lifestyle. Isolated vector illustration over white.